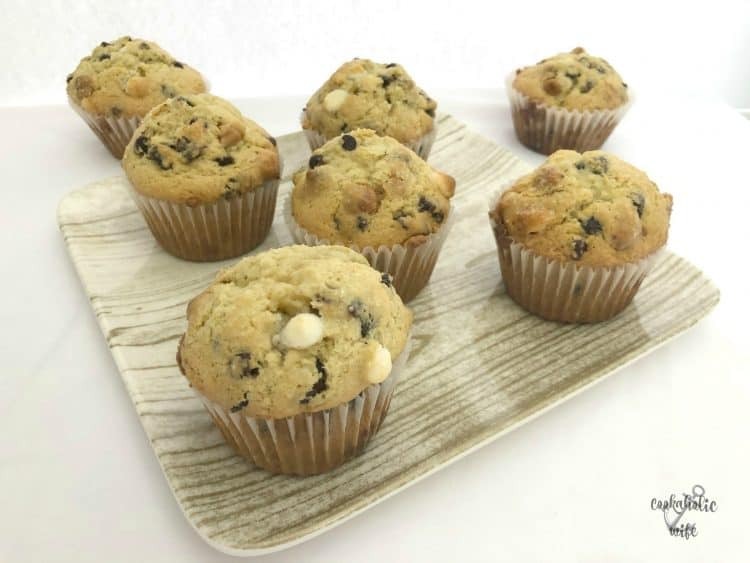 The other week I asked my coworkers “what do you want me to make?” and one of them said chocolate chip muffins. I realized I don’t even have a chocolate chip muffin recipe on my blog, which is kind of baffling, as I went through a huge muffin making phase and thought I made just about every combination in existence. 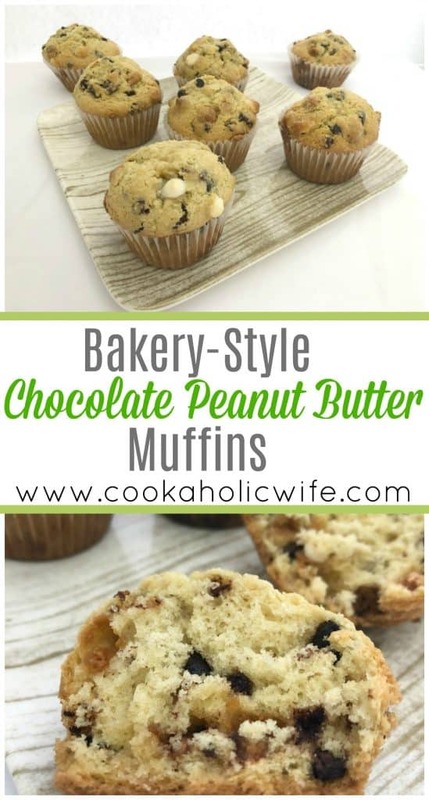 Anyway, I thought “what if I add in white chocolate chips and peanut butter chips?” and so this recipe was born. Bakery-style muffins are my favorite because of how they look. A huge domed muffin is much more appealing to me than a flat, sad muffin. Those should just be covered in frosting and called cupcakes. 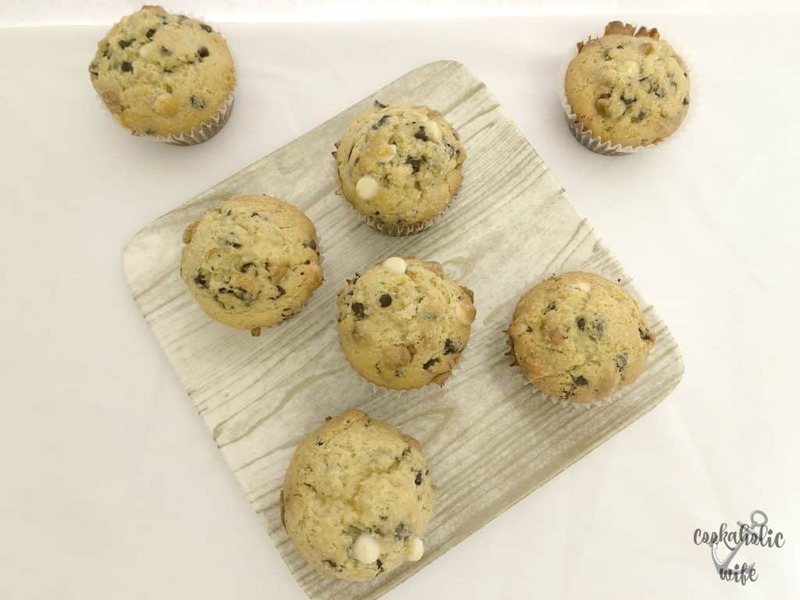 You get those tall domed muffins by using the right ratio of baking powder and baking soda and by starting the muffins in a higher temperature oven at first and then dropping it down. 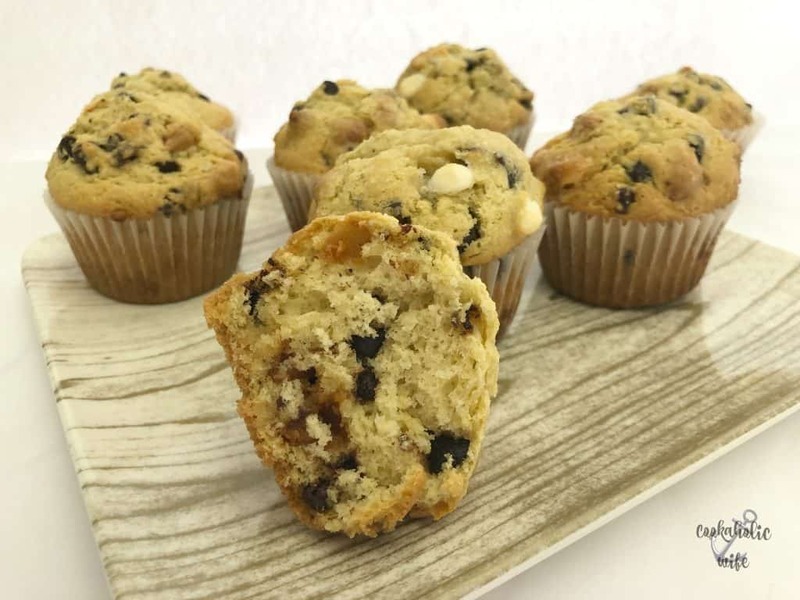 I was so pleased when I pulled these muffins out of the oven and saw how tall they were! I could barely wait until they cooled down enough to pull off the wrapper and eat one, which made me even happier. 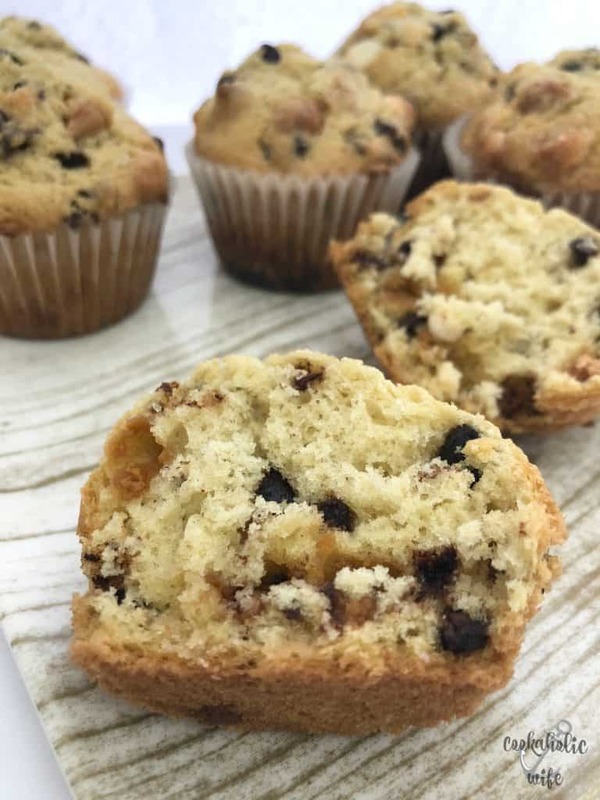 Muffin batter is easy to overmix and can end up dry, but when you just incorporate all of the ingredients to not have lumps and no more, you end up with a fluffier, moister muffin. I took these into work and within an hour they were gone. That’s how I judge how good my recipes are, the length of time it takes them to disappear at work. So I’d consider these quite tasty!